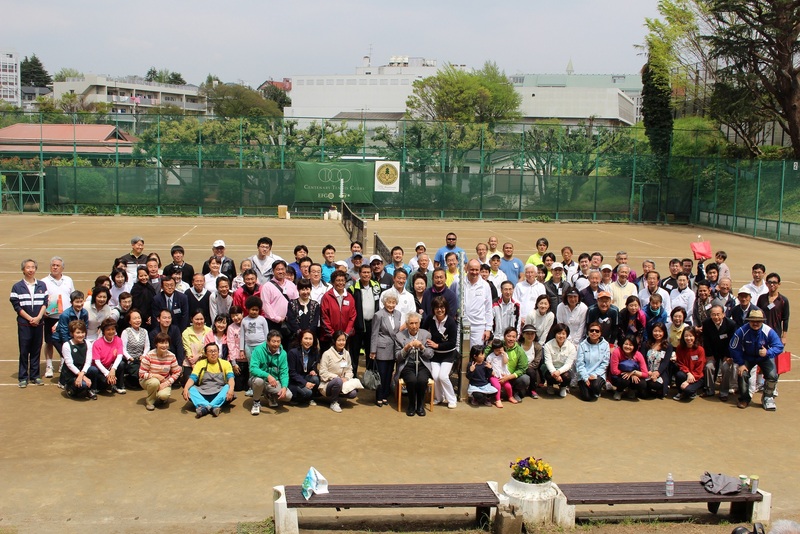 On April 22, the 2nd Annual Pacific Day was held at Yokohama International Tennis Community (YITC), co-hosted by the Embassies of the Pacific Island Countries in Japan. Originally starting as Palau Day in 2015, this was the second year where the Pacific Island Embassies and their guests gathered with members of YITC to enjoy a day of tennis and local dishes of the Pacific. 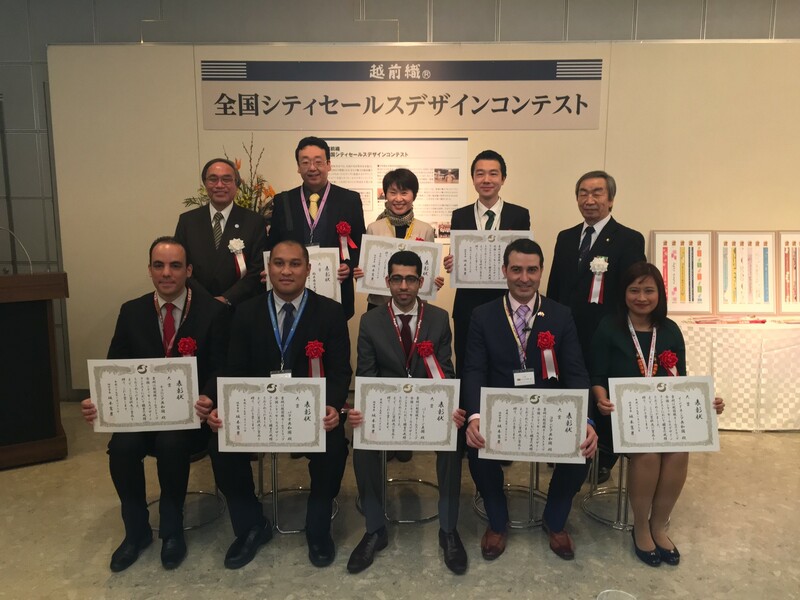 Approximately 150 guests participated. Thank you very much for joining us and we hope to see you next year as well. 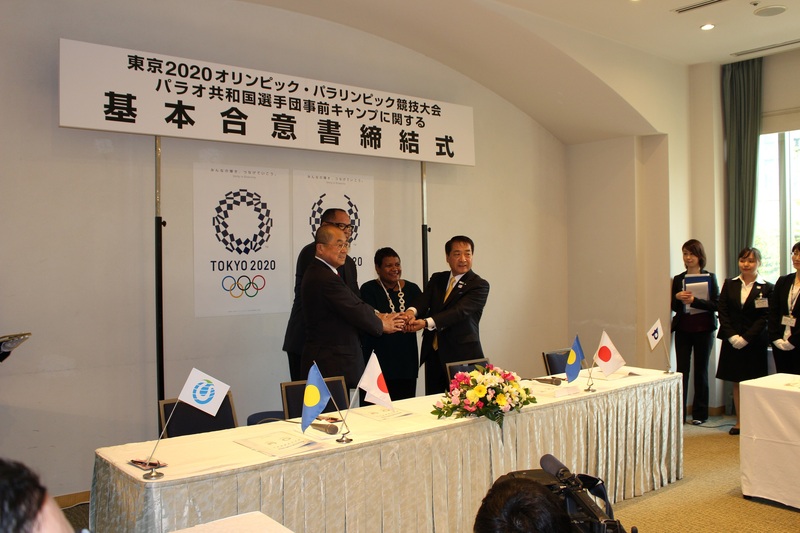 On April 21st, the Signing Ceremony for the Tokyo 2020 Olympics & Paralympics Training Camp Host Town between Zao Town, Hitachi Omiya City and Palau was held in Tokyo, and Mayor Hideto Murakami of Zao Town, Mayor Shinichiro Mitsugi of Hitachi Omiya City, and President Frank Kyota of the Palau National Olympic Committee signed the Memorandum of Understanding. 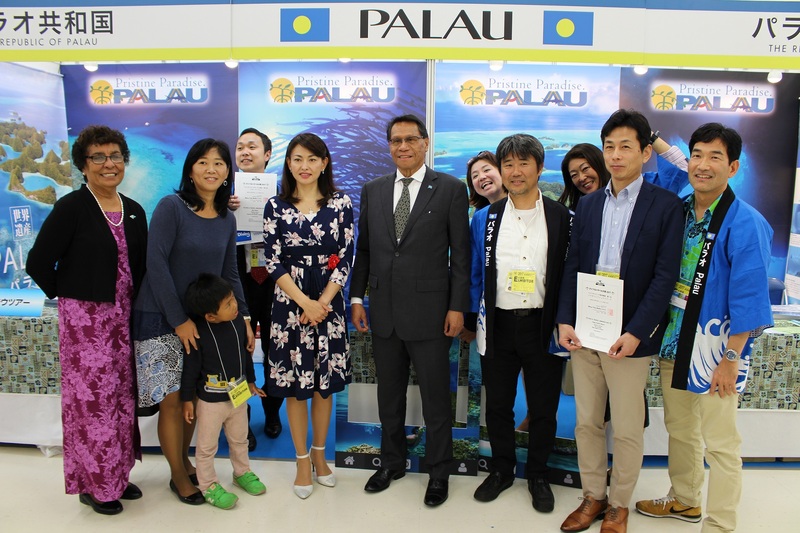 Zao Town and Hitachi Omiya City agreed to host Palau’s National Olympic team for training prior to the Tokyo 2020 Olympics and Paralympics. Zao Town has historical ties with Palau where Japanese nationals who lived in Palau during the Japanese administration moved to a region called Kitaharao in Zao Town after the war. Their Majesties, Emperor Akihito and Empress Michiko visited Palau on April 8 – 9, 2015 to mourn and pay tribute to those who perished during the war, and to further develop the friendly relations between Japan and Palau. As April 9th marked the 2nd anniversary since Their Majesties visit to Peleliu, Peleliu State Government held a ceremony celebrating and commemorating the Second Anniversary of Their Majesties, Emperor Akihito and Empress Michiko’s historical visit to the Republic of Palau and the State of Peleliu. April 9th is a State holiday in Peleliu commemorating Their Majesties visit. The Gallery Collection Exhibition [Light, Wind and Dreams of Nanyou Islands: Hijikata Hisakatsu Exhibition] will be held at Gallery Minami Factory (2-22-2 Nishikojiya, Ota-ku, Tokyo) from March 26, 2017 to April 9, 2017. 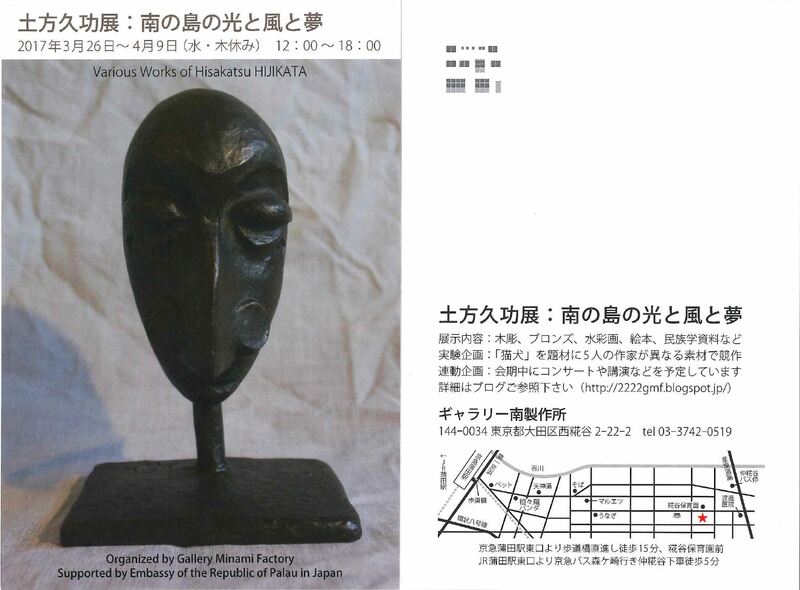 Mr. Hisakatsu Hijikata was a Japanese national who moved to Palau during the Japanese administration era as an art teacher and spread the wonders of Palau’s now well-known cultural artifact, storyboard or “itabori.” This exhibition exhibits numerous pieces of Mr. Hijikata’s works that he has created over his lifetime. 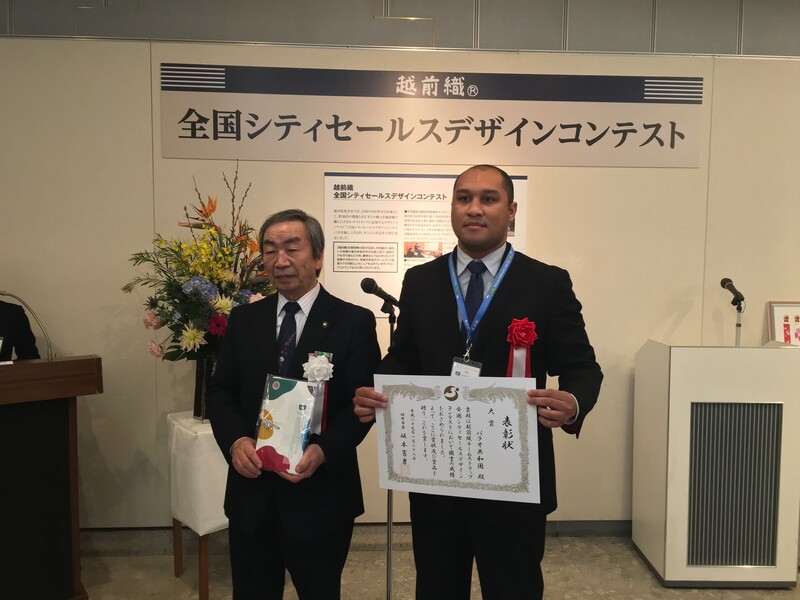 The Embassy of the Republic of Palau in Japan provides nominal support to this exhibition. Please do not miss this great opportunity and visit the gallery! For more details, please view the brochure or Gallery Minami Factory’s website. 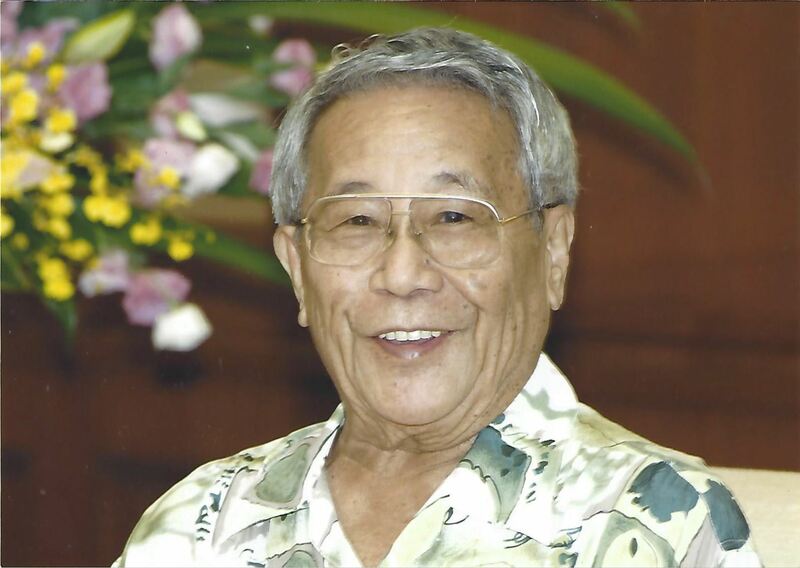 Former Ambassador of Palau to Japan, Mr. Daiziro Nakamura, passed away peacefully in Koror, Republic of Palau on March 6, 2017 at the age of 81 (Born May 27, 1935). Mr. Daiziro Nakamura was on active duty in Public Services as Officer of the Palau District Political Office from 1969-1971, Director of the Trust Territory Wide Program on “Education for Self-Government” as well as Chief of Legislative/Civic Affairs from 1971-1982, Director of Bureau of Domestic Affairs (Ministry of State, Republic of Palau) from 1982-1988, Senator of the 3rd, 4th and 5th Olbiil Era Kelulau (Palau National Congress) from 1989-2000, Chairman of the Palau Financial Institutions Commission, Chairman of the Anti-Money Laundering Task Force and Member of the Koror State Public Lands Authority from 2003-2005, and Ambassador Extraordinary and Plenipotentiary of the Republic of Palau to Japan from 2006-2009. Rest in peace Ambassador Nakamura. A Book of Condolences will be opened at the Embassy Chancery (1-1-201 Katamachi, Shinjuku, Tokyo) to the general public tomorrow, March 17, 2017 from 10AM-12PM and from 2PM-4PM. Please kindly call and inform us of your visit beforehand if you wish to sign the book of condolences.